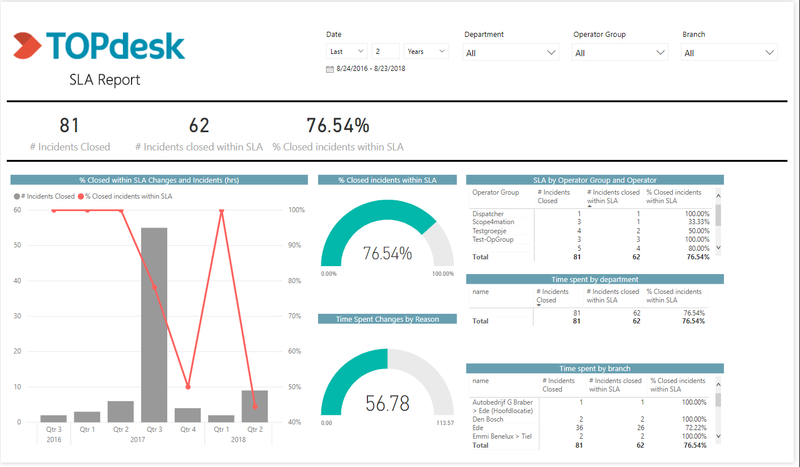 Analyse your TOPdesk ITSM data with the PowerBI applications for TOPdesk developed by Pink Elephant Business Intelligence in cooperation with TOPdesk. The PowerBI application for TOPdesk starts where standard TOPdesk reporting stops. Several ITSM processes such as Incident- and Change Management are fully open for in depth analyses on strategical-, tactical- and operational level. 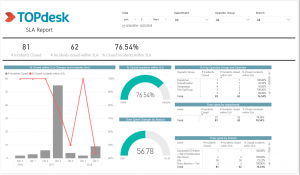 Everything is displayed in easy to read reports that can easily be shared with your internal and external stakeholders. One of these applications is the Service Levels Report.